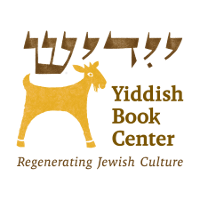 Where do modern Jewish literature and culture fit in your classroom? Like all great books, the most powerful works of modern Jewish literature are windows into the experiences of others and mirrors that help us reflect on ourselves. This site is designed to support teachers who want to share this rich material with their students. Liana Finck’s "A Bintel Brief: Love and Longing in Old New York"
Primo Levi’s "Survival in Auschwitz"
Philip Roth's "The Conversion of the Jews"
Emma Lazarus's "The New Colossus"
Grace Paley's "The Loudest Voice"
Vanessa Hidary's "The Hebrew Mamita"
This site is made possible with support from the Jim Joseph Foundation, which is devoted to fostering compelling, effective Jewish learning experiences for youth and young adults in the U.S. Additional funding for this site has been provided by The Applebaum Foundation and by Yiddish Book Center members.